Be charmed. 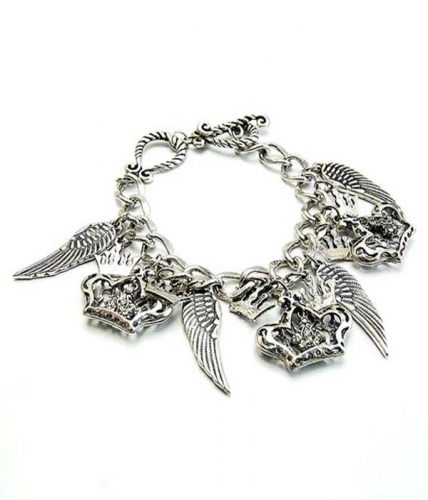 The Wendy is a simple silver-plated chain bracelet adorning your wrist with a collection of crown and angel wing charms. A neutral accessory designed for mixing and matching. We specialise in cheap jewellery online. Enjoy browsing thousands of fashionable jewellery items here today.